There are many areas we can cover on bespoke expedition training programmes but please check below for your specific peak. If it’s not there the themes can generally be summarised as mountaineering movement skills, mountain fitness and efficiency using technical equipment. We will help with all 3 elements. 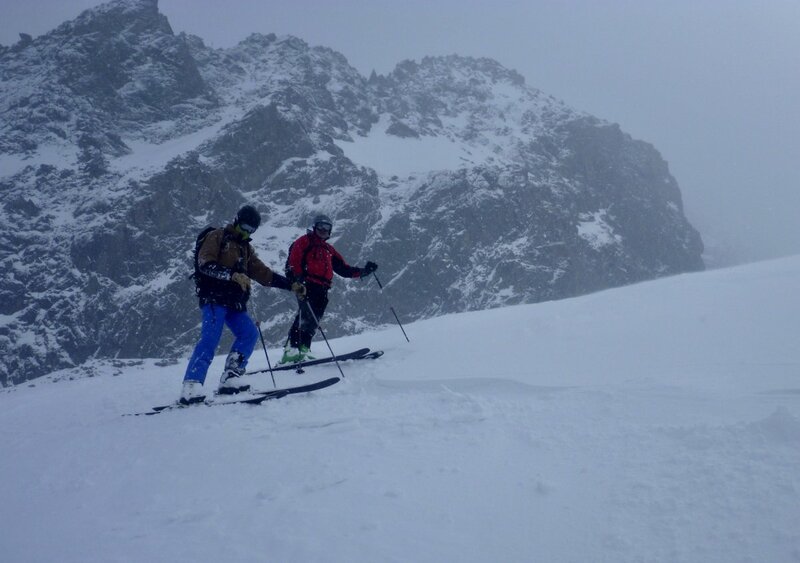 Mid Winter Alpine Mountaineering From Skyway Monte Bianco – A Cold & Tough Business….And Great Expedition Training! If you are heading off to the Greater Ranges to climb an expedition peak we recommend you start the training process a long time in advance. 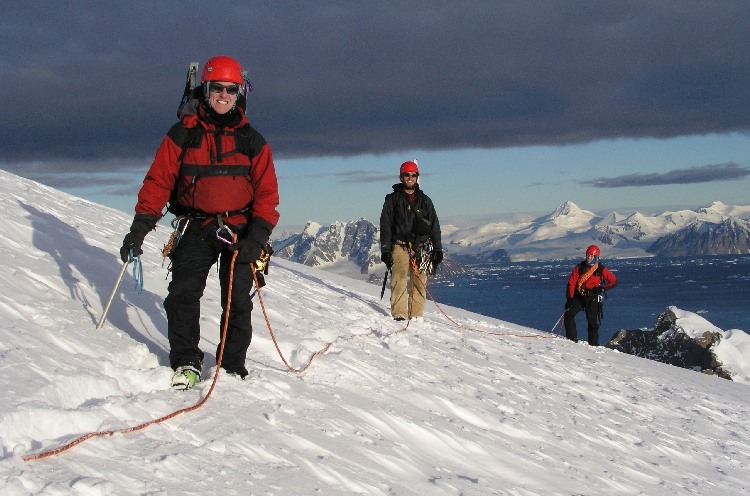 Improving your mountain fitness, technical & mountaineering skills as well as general expeditions awareness will enhance your safety, enjoyment, efficiency and summit chances on the expedition. 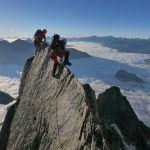 High Mountain Guides offer tailor made alpine and expedition preparation programmes according to the specific demands of your forthcoming trip. Alongside our comprehensive package of relevant mountain skills training and expedition advice we are able to present you with a series of tough mountain challenges. 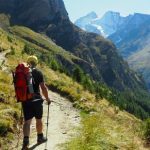 Together these three elements should see you heading off on your trip better prepared from a mountaineering point of view; physically and mentally stronger and with a lot of useful information about how to look after yourself. 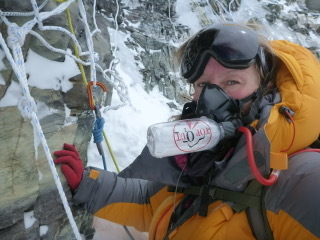 Sheena Climbs Cho Oyu 8188m. Congratulations. Training. Is. Performance Enhancing! Many elements of climbing the world’s largest mountains are pretty similar. Generally you will need good crampon & ice axe skills on steep snow & ice. 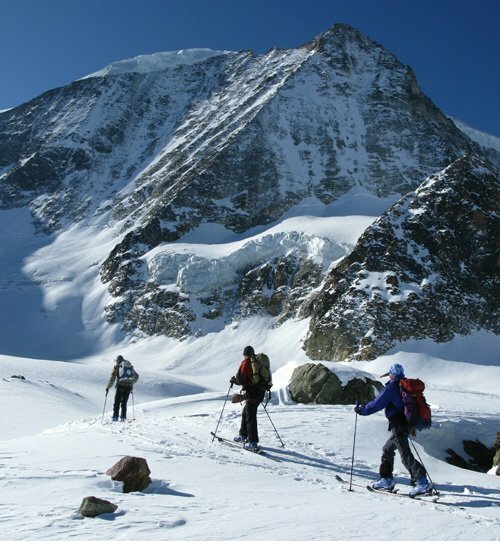 Even if the mountain is not technically difficult, a great level of efficiency moving over snowy terrain with crampons on will save a lot of energy. These sound movement skills form the basis upon which we build in specific training elements which will be relevant to the terrain you will encounter on the expedition. Ama Dablam Base Camp – A stunning view of the mountain….And this is where your expedition training starts to pay off! Frequently some of these important skills are overlooked in the fascination about altitude related illness and acclimatisation schedules. These are undoubtedly important too and will be discussed during any expedition training. However it doesn’t matter how well you acclimatise if you are tiringly inefficient in crampons, using a jumar, looking after yourself in camp or just aren’t very fit. These things however can all be tackled prior to departure. 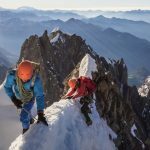 We match the specific demands of your expedition with your existing skills, experience & fitness as a mountaineer and develop a mountain coaching plan for you accordingly. Specific skills like ascending and descending a fixed rope are best learned well in advance of the expedition. A low stress training environment is best to ensure skills can be taught effectively, understood, practiced and consolidated. The same principle applies to general mountaineering skills which are the bedrock on which to build your whole approach to climbing mountains! 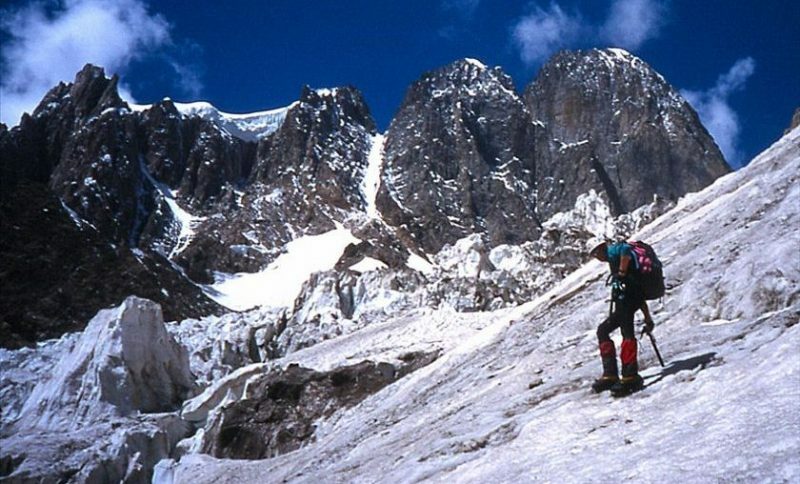 Steve Ashworth On The UIAA International Youth Expedition, Hindu Raj, Pakistan, shortly before we made the first ascent of Chikari Beag, 5620m (the peak just right of the central snow coulouir) FA C.1999? 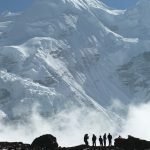 We have worked extensively with a wide variety of climbers from those taking their first expedition steps on Kilimanjaro, Elbrus & Aconcagua to more experienced mountaineers looking for a technical challenge on Ama Dablam, a snowy & cold experience on Denali or Mount Vinson or folk looking for the ultimate high altitude challenge on an 8000m peak like Cho Oyu and Everest. We have also trained with very experienced mountaineers bound for K2 and other hard & technical objectives who wanted to improve their rock, ice & mixed climbing skills. 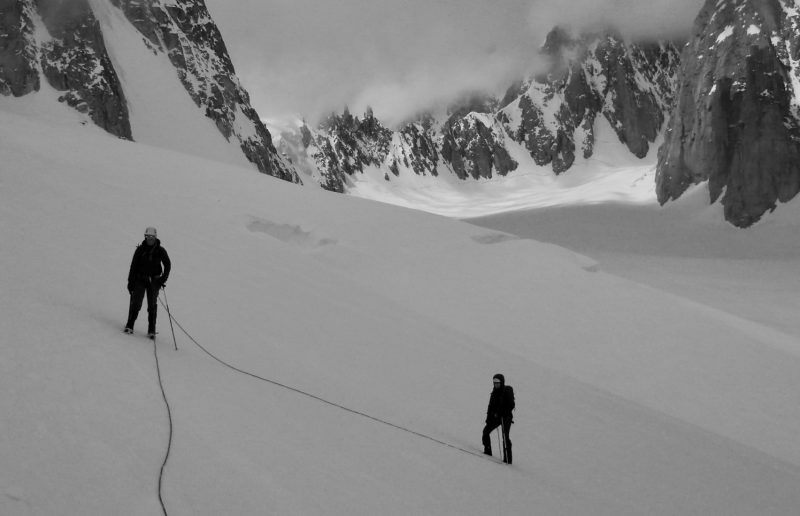 Our Expedition Training courses are generally based in the capital of world mountaineering, Chamonix Mont Blanc. Chamonix is remarkable both for it’s spectacular mountain geography as well as the extensive infra-structure allowing easier access to the high mountains. This means that our courses not only have awesome training venues, they are quickly accessed without hours of walking. There are venues for all training requirements. 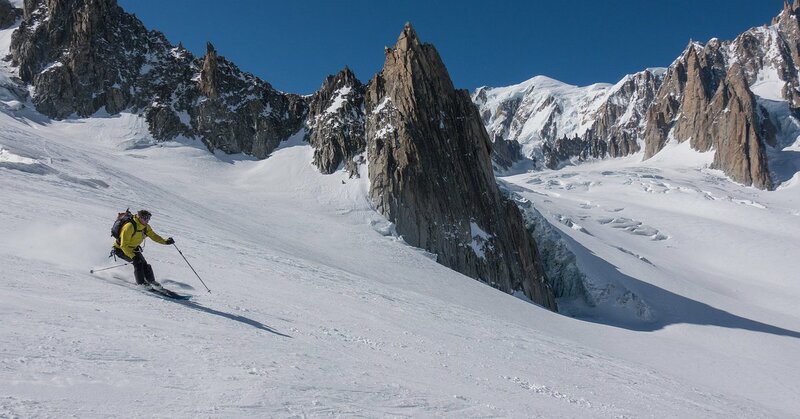 From snowy glaciers to technical crags to big mountain journeys, the Mont Blanc Massif has it all! 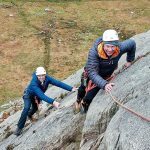 We also run UK based expedition preparation courses in the Scottish Highlands and Snowdonia which would offer a fine progression when combined with an alpine course. 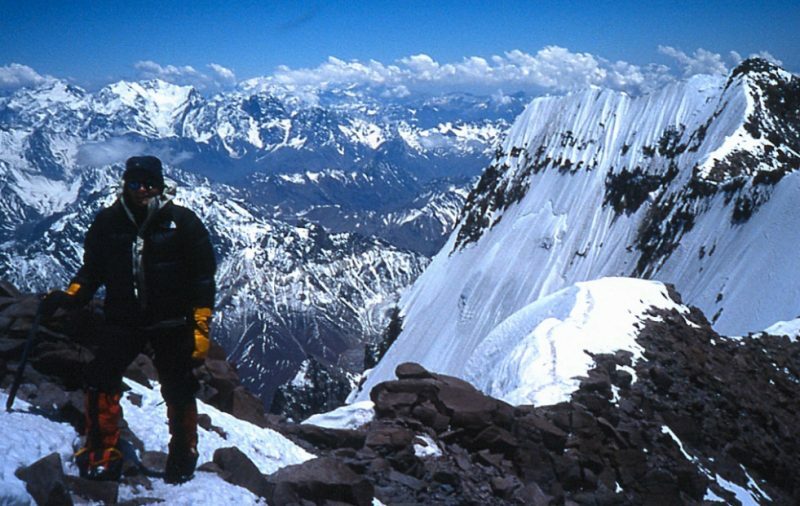 Aconcagua is widely and poorly described as a trekking peak. Whilst the normal route does not have any great technical challenge, at 7000m the ascentcertainly feels more akin to an expedition than a trek. Those expecting the latter tend to struggle and have complications as well as invariably falling short of the summit. Those who thoroughly prepare for the former are much more likely to fare better. Whilst the crux of the ascent is the final couloir, The ‘Canaleta’, ensuring you arrive at the base of this in good health and fitness with the motivation to keep pushing up could be seen as another crux and this means looking after yourself well for a couple of weeks camping in the high mountains and moving between camps with an expeditions pack. Negotiating the Canaleta itself will require good movement skills over broken, rough, rocky and probably snowy ground. Safe & efficient use of crampons and an ice axe could make all the difference here both in getting to the summit on the way up and negotiating the descent safely on the way down. Our Aconcagua training courses focus on refining these mountaineering skills as well as experiencing some tough & physical mountain journeys on relatively non technical terrain. Many tips will also be given on general expedition life and how to best acclimatise and keep looking after yourself. Rob was a great guide for our upcoming trip to Aconcagua, not only did he train us physically but he prepared us mentally for the challenge. It was with his previous experience on Aconcagua that he was able to break down the climb into sections and tailor our training accordingly. One thing you notice is Robs enthusiasm for climbing, which becomes contagious after spending 5 days climbing with him! An overall fantastic experience. The very word conjures up visions of vast polar ice sheets, covered in snow and swept by blizzards. Of alpine mountains so inaccessible that nearly all of them are unclimbed. When we think of Antarctica we think of a pristine, yet fragile environment, and we want to go. Nobody is disappointed with their impressions of this magical continent. It feels like a rare treat and a privilege to go. High Mountain Guides director Rob Jarvis has spent 2 years of his life living, climbing and guiding ‘on the ice’ and can pass on some of the experience and enthusiasm gained from this to people looking for private guiding or a training course prior to going South. 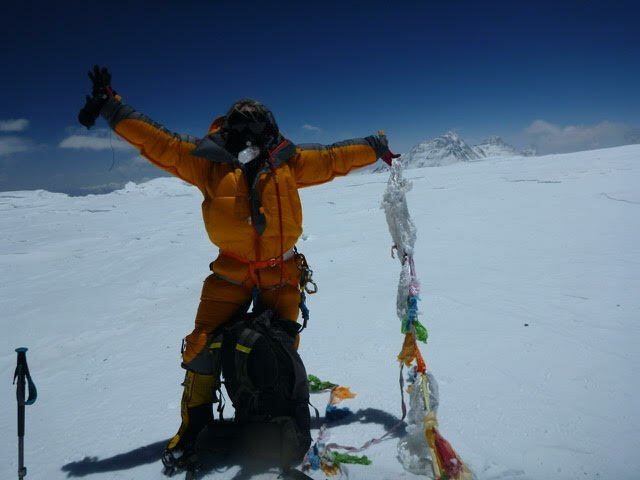 Hi Rob, We have successfully summitted Vinson and another previously unclimbed mountain. Our guides were great, we had an amazing time with lots of good laughs along the way. As a result of high winds we summitted Vinson from the old route coming up from directly under the peak. It was brutally cold on top with plus 25 knot wind so only spent a few minutes there. 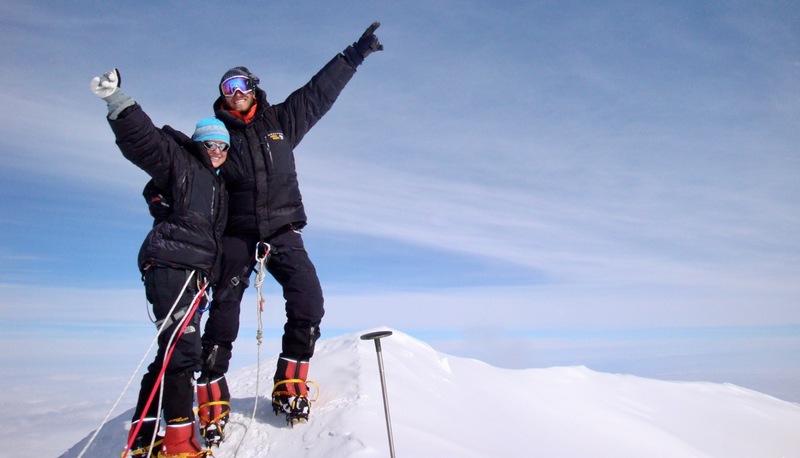 The highest peak in Antarctica and one of the seven continental summits, Vinson has a lot more to offer than just these two handles! Situated in the heart of the beautiful Ellsworth Massif, Vinson presents a stark contrast in terms of remoteness to the worlds other continental peaks. 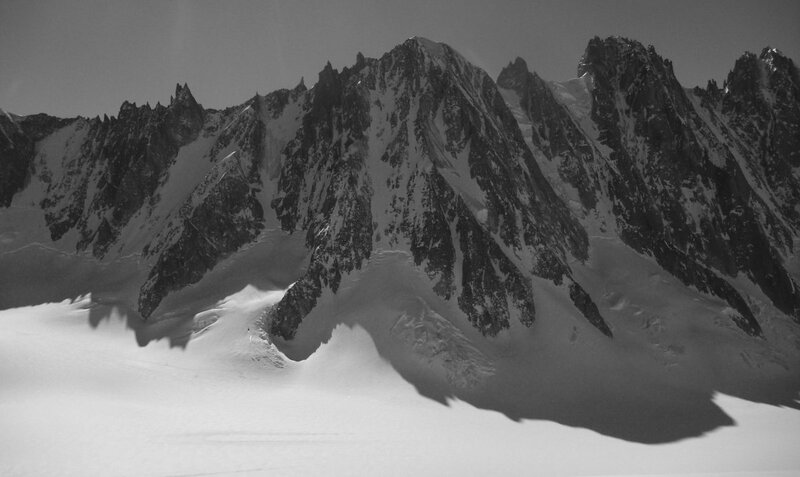 Vinson is by far the lowest of the 7 Summits and it is not too technically difficult either. None of the days moving between camps or the summit day are huge either. However, it might be -40C on the top and this is very remote, very cold and stunningly beautiful mountain terrain. 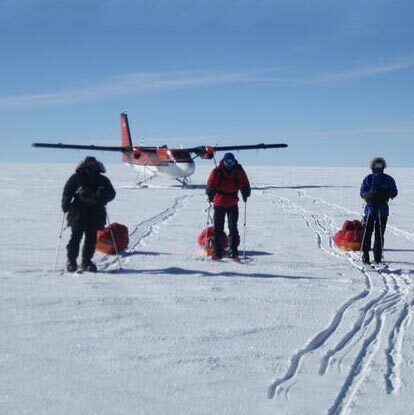 Vinson requires a good abillity to look after yourself on physical & very cold glacier journeys carrying a large pack or even pulling a sledge to the low camp. 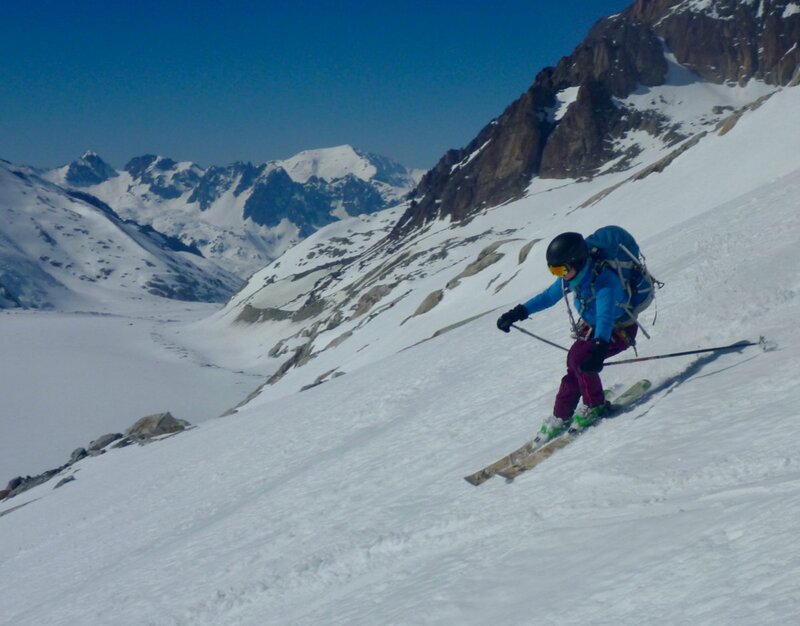 The ascent requires sound mountaineering skills, good glacier travel & crevasse rescue knowledge and the ability to safely & efficiently negotiate long sections of fixed rope on steep snow in ascent & descent. Efficient camping on snow is another classic expedition skill required for Vinson or any other Antarctic Climber expedition. Anyone who has struggled to put their harness and boots on in a ‘cosy’ tent will know that tent life on expeditions requires some careful management. Like many things in mountaineering this is not rocket science – but the mantra ‘Simple to do & simple to do badly’ applies. Wow, what a week!! Thanks for all the insight and expertise Rob. It was an incredibly insightful and constructive training session. We really got the essentials and are far more understanding and better prepared for the challenge that lies ahead. You run a fantastic outfit that is both safe and professional. Thanks again, Barney. Thanks so much for your encouragement, support and enthusiasm on our Last Degree Trip. You made a great experience even greater! The ‘Last Degree’. 89 South and heading South! Rob & David, just a short note to thank you all for making our Antarctic experience such a wonderful time. It is an amazing continent and we thoroughly enjoyed the Vinson and South Pole experiences. However, it is people that make trips and it is not possible to say how much we appreciated your gentle, confident and knowledgeable style of guiding and, above all, excellent company. Denali is a popular but tough expedition peak and one of the hardest ascents of the 7 continental summits. It has a strong physical element as well as the endurance & efficiency factors involved in camping on snow & glaciers for around 3 weeks or more. 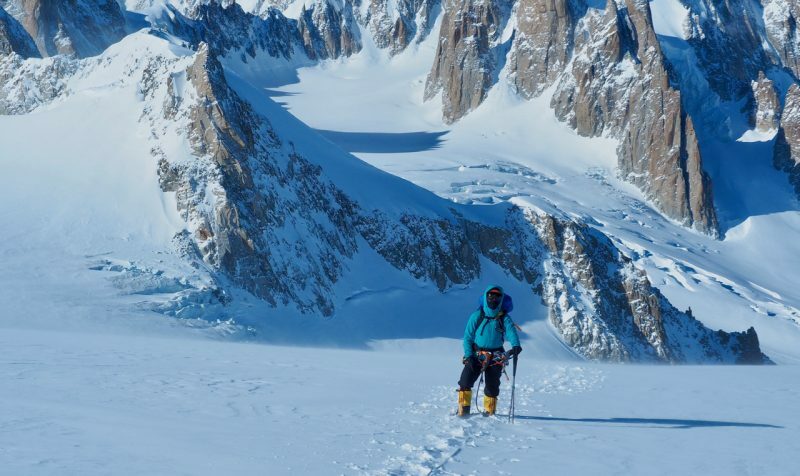 Climbing Denali requires not only a very high level of mountain fitness but also excellent endurance and the ability to keep going for around 8 hours or so over many continuous days of physical exertion at high altitude, sometimes in extreme cold and whilst camping on snow. 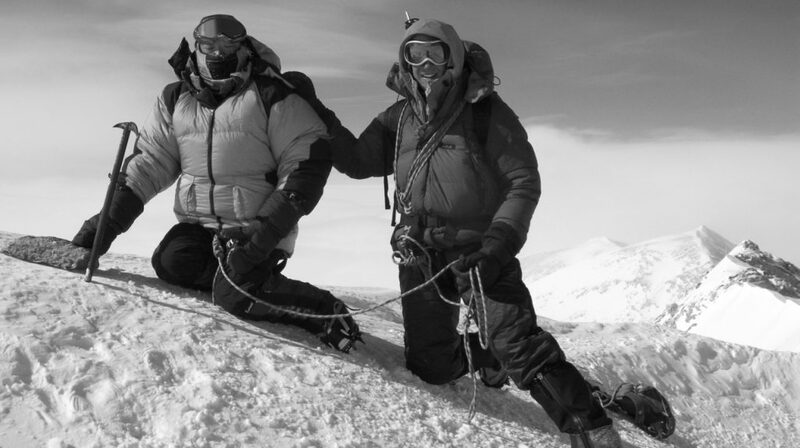 Sam & Alex on the summit of Denali after a great effort on the mountain with some tough weather. Summiting in good style thanks to quality preparation and training. Alex and I had a great trip up McKinley, and both stood on the peak! (see pics). We were lucky to have two great guides and a fun team (including a couple of girls, to Alex’s relief). We had some bad weather lower down the mountain but it cleared up as we got to the higher camps. The mini expedition you took us on was ideal training. As suspected the toughest part is not technical, but dealing with big packs (60lb) for three weeks consecutively. We kept reminding ourselves of those key phrases you let slip, “motivation is key”.. great stuff! 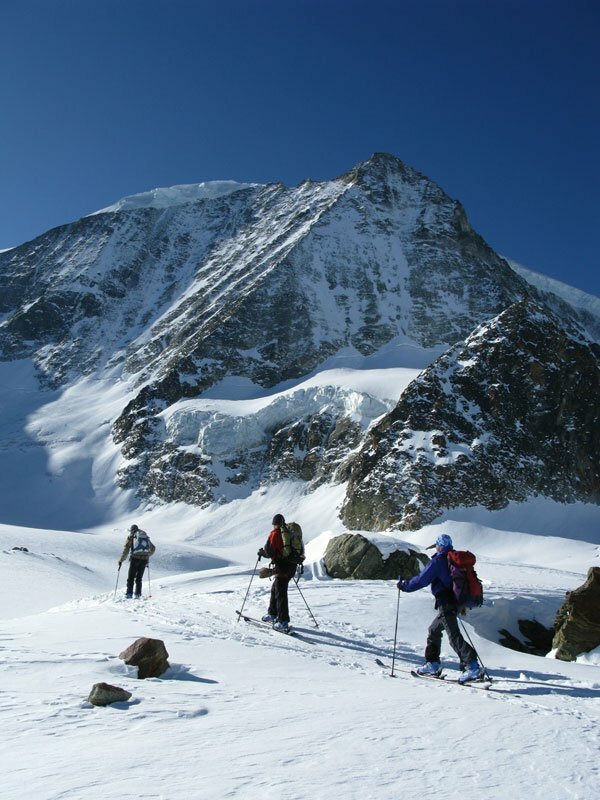 As well as solid winter mountaineering & glacier skills, which can be excellently experienced in the European Alps, climbers will need robust expedition skills and be comfortable carrying a large & heavy expedition sack (up to around 25Kg) and with up to around another 20kg being pulled on a sledge). 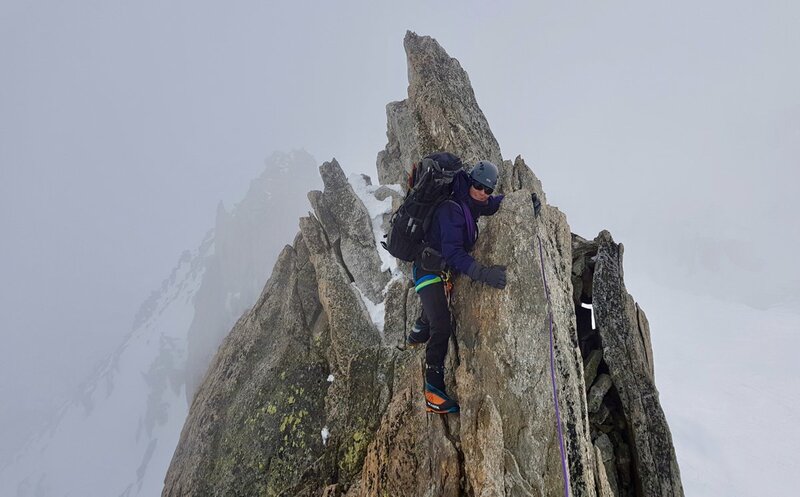 This experience needs specific training in the Alps as European huts and lifts can take away a lot of the classic expedition element and thus not gain the skills & fitness required for this style of climbing. 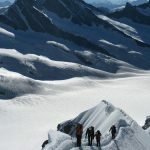 As well as these classic hard expedition skills Denali climbers will need to be experienced and pro-active at looking after themselves in the high mountains and on snowy glaciers where conditions can range from very hot & sunny to very cold & windy. Being well prepared and understanding how to look after yourself regarding nutrition, hydration and temperature regulation will all help to keep you motivated and steadily climbing up hill rather than running out of steam lower down. 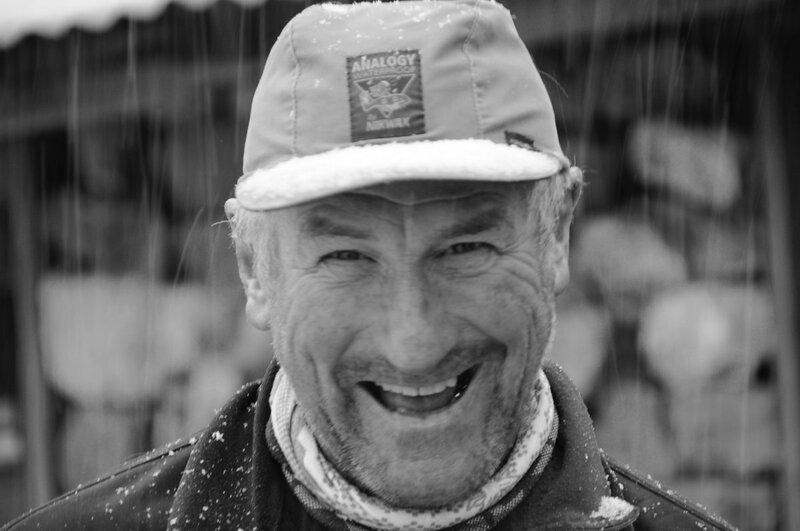 Patience is another classic attribute of the long-haul expedition climber and retaining a positive attitude and staying content when pinned down in the tent in poor weather is again important for maintaining motivation and a good atmosphere with the rest of the expedition team. Ama Dablam is one of the more technical of the popular peaks on the commercial expedition circuit. It stands out a mile above the rest in terms of thesustained technicality of the terrain. 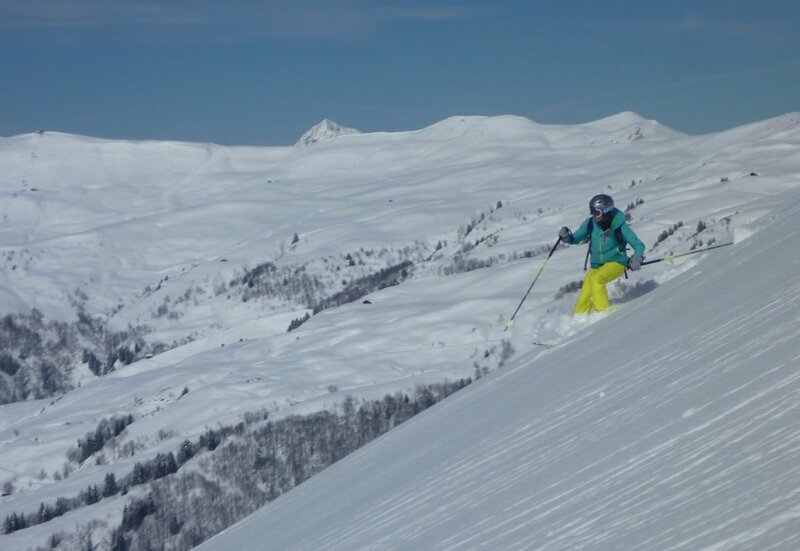 Whilst many of the worlds big mountains are snowy and physical they are frequently technically quite easy. The same can not be said of the stunningly beautiful Ama Dablam which has attracted technical climbers since its first ascent by a strong Kiwi / Brit / American team in 1961. Make no mistake, Ama Dablam is a climbers peak and folk with experience only of snowy trekking peaks need not apply. 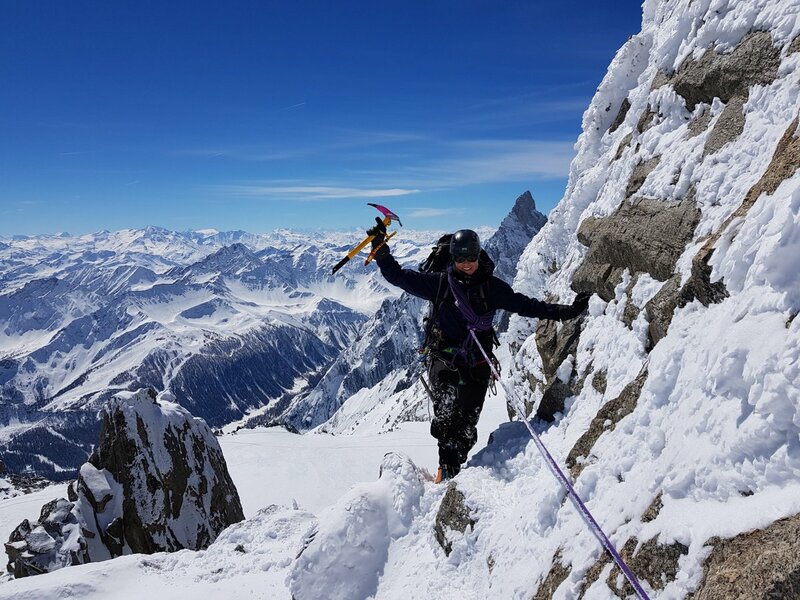 However, for folk willing to spend time training their more technical mountaineering skills and practice ascending, traversing and descending on steep fixed ropes with a big & heavy pack this is undoubtably a magnificent expedition. Expedition members will need to be very mountain fit and happy climbing up to at least UK VS or F5C on rock and have some ice and mixed climbing experience around the alpine D level. 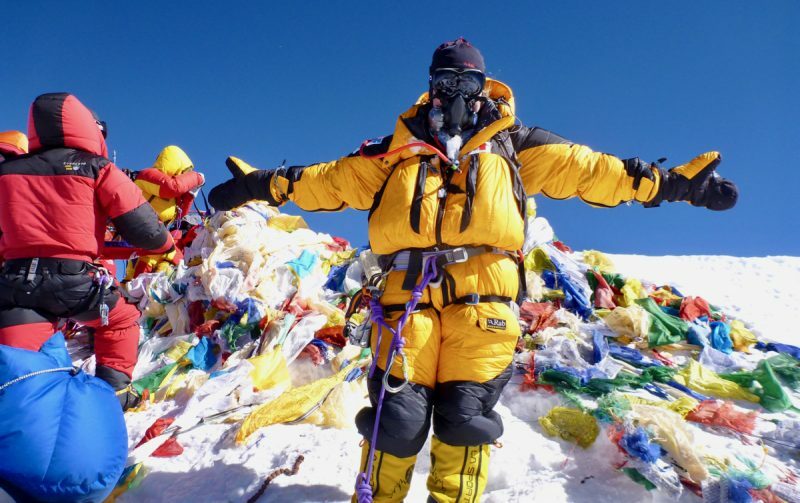 Tough alpine mixed mountaineering days would be very good training as would be manoeuvring on technical fixed ropes courses designed to simulate the terrain on the SW ridge of Ama Dablam. 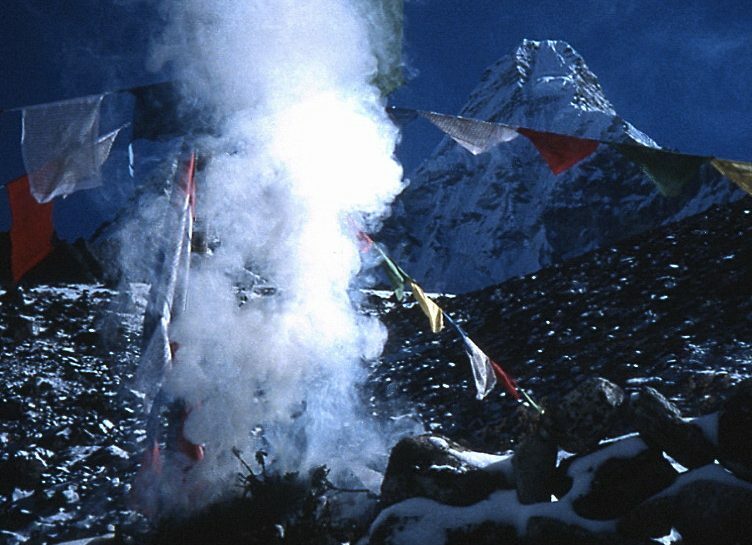 For many years Ama Dablam was widely referred to as an objectively safe expedition peak. Sadly a large ice avalanche in 2006 shattered this assumption when it swept through the 3rd camp high on the face. Subsequent years have also seen problems from the upper ‘Dablam’ serac. One way of minimising the exposure to this is to train hard beforehand, become very skilled & fast then acclimatise on another peak and climb the mountain quickly and summit from camp 2. Some climbers have been able to summit from camp 2 and then descend safely back to base camp the same day. Whilst for many this would be a bridge too far it shows what a solid base of technical mountaineering skills and good mountain fitness can do! At 8201m Cho Oyu is the 6th highest mountain in the world and a popular choice for those wanting to climb an 8000m peak but with less exposure to objective danger & technical difficulty than some of the others. Whilst base camp is easily accessed and the ascent is generally on steady snow slopes there are some short steep sections and Cho Oyu should not be underestimated. It’s size & scale alone makes it a big and serious expedition which all climbers attempting should be very well prepared for. 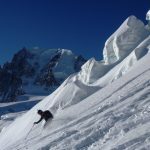 Apart from the obvious and serious issues of managing an acclimatisation schedule, which starts well before reaching base camp, all climbers should be moving very well on general mountaineering ground up to around Alpine AD standard and particularly on snow and ice. Sherpa support is generally available for load carrying on Cho Oyu but team members will still want to ensure that they have excellent mountain fitness for a long & physical expedition carrying a reasonable pack. 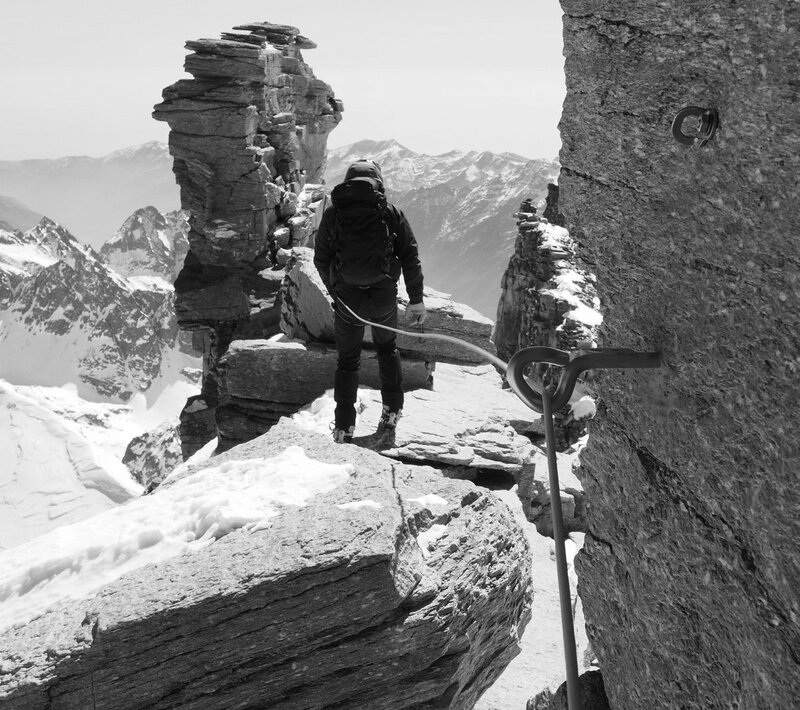 …Without my trips to chamonix, I would never have made it! All rope work from Camp 1 onwards and coming down a lot of smooth blue ice. If I had not gained that experience I would have never made it up because I would have been too scared of coming down !!! It was the hardest thing I have ever done and 10 times harder than I had expected !! Climbers will also certainly need to be very competent, efficient and confident at moving up & down long sections of fixed rope, including some steep sections of ice with sustained front pointing. This needs highly dedicated training in a progressive environment building to performing these skills well at very high altitudes. Expeditions to the worlds highest mountains are long, touch & require a lot of committment in terms of time, energy and cash….and the same applies for the training leading up to it! General expedition skills, patience, looking after yourself, mental toughness and staying motivated will all come from good training and other expeditions. Whilst a lot more team support is likely to be available than on Denali for example. Team members still need to be experienced and pro-active enough to look after themselves over the course of a long-haul expedition. An Amazing few days with High mountain guides training for my 8000 metre peak challenge. Lots of technical information received and as requested pushed to my limits on Le Buet. Loved every minute and always felt safe. Thankyou Rob, It was exactly what I was looking for and really pleased I have the next two trips booked. 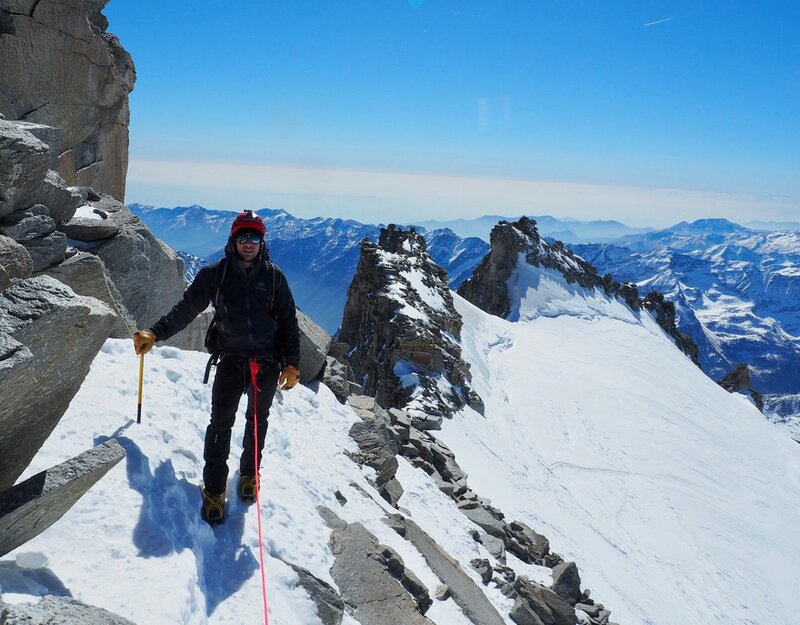 Mollie on the summit of Everest in 2012 having completed some alpine mountaineering training in Chamonix the previous summer season. I have just returned from an awesome four days climbing in the French and Italian Alps with Rob. We were doing expedition training for some Himalayan trips I am going on next year. Rob planned an extremely enjoyable and challenging itinerary for the four days encompassing many areas of mountaineering and taught me heaps of useful things for my upcoming expeditions! 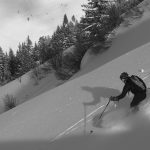 I would highly recommend Rob as a knowledgeable, experienced, safety conscious guide for any type of Alpine mountaineering…and he’s a good laugh as well! Jbel Toubkal is the highest mountain in the Moroccan High Atlas range and a fine physical mountain challenge for those with good fitness. The ascent via the normal route is not a technical climb and can be done by those with good mountain walking experience although there is snow on the route for much of the year apart from high summer. Training for the ascent largely consists of gaining strong walking experience on rough and rocky ground to simulate the approach trek from Imlil, followed by the steeper rough and rocky path on the ascent from the hut. 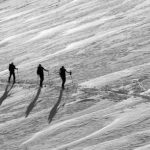 Trekking in the snow and use of an ice axe and crampons will also be relevant for those who are not climbing in high summer. Toubkal provides a fine short mini-expedition outing for those wanting to try climbing a 4000m peak in another range away from the European Alps. 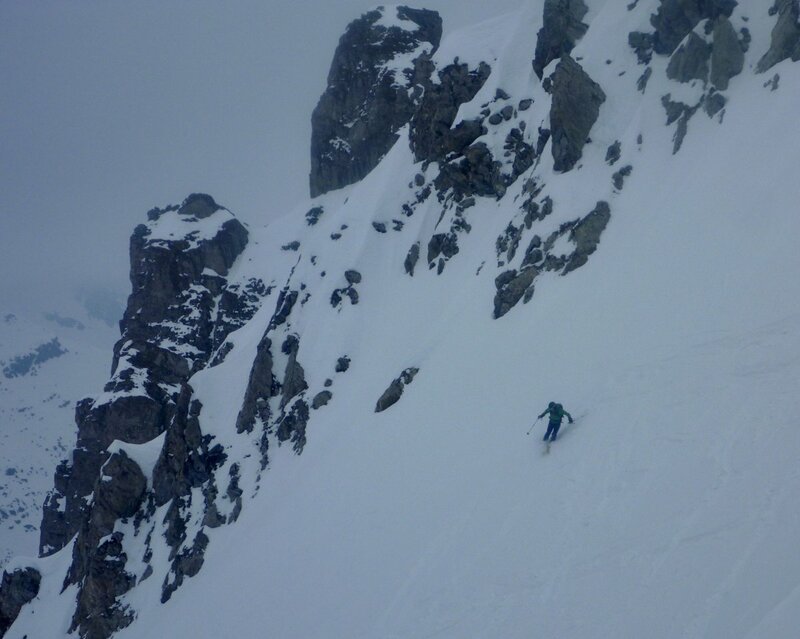 It’s also a good spring board for other higher peaks like Mont Blanc, Killimanjiro etc. 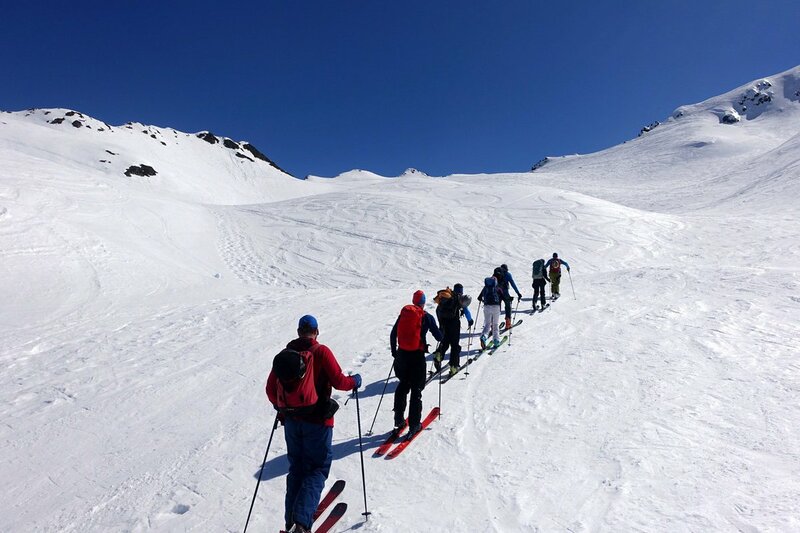 We have run Toubkal training weekends for small teams in the Mont Blanc Massif and can help arrange your training & preparation and advise on equipment selection on a bespoke basis. 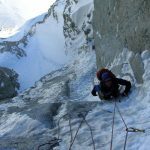 k2 Training – Technical ascents and alpinism in preparation for technical ascents in the greater ranges….